A new type of Pokémon introduced in Luna, Terra, and Sol Versions is the Light-Type. It could be considered the counterpart to Dark-Types. Light-Type Pokémon are generally brightly colored and have some source of luminescence on their body. Their attacks normally involve the manipulation of light. Light-Type Pokémon are powered up when in the Harsh Sunlight weather condition, but weakened under the Full Moon. Light is super effective against Dark (Lights up the dark), Ghost (ghosts don’t like light), and Psychic (light disrupts focus). Types that are super effective against Light: Dark (darkness shrouds light), Grass (plants use light energy to make food), and Steel (polished steel reflects light). Types that are not very effective against Light: Electric (produces light) and Fire (produces light), and Light. So yes, Light and Dark-Types are super effective against each other. The closet comparison that exists to this already is Dragon being super effective against itself. Volbeat and Illumise become Bug/Light-Types. Mareep, Flaaffy, Ampharos, Luxio, Luxray, Helioptile, Heliolisk, and Xurkitree become Electric/Light-Types. Sunflora, Morelull, and Shiinotic become Grass/Light-Types. Porygon, Porygon2, Porygon-Z become pure Light-Types. Staryu, Starmie, and Lumineon become Water/Light-Types. 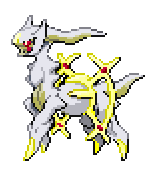 Arceus gains a Light-Type form using the Sun Plate. Rotom gains a Lamp Form that is an Electric/Light-Type. Castform’s Sunny Form is now a Light-Type, and Castform learns the moves Strobe and Solar Beam instead of Ember and Fire Blast respectively. Eevee gains a new Light-Type evolution, named Radeon. Chinchou and Lanturn do not become Light-Types because to remove either the Water or Electric-Type from them would change them too much, instead they are given the new ability Luminate, which turns their Normal-Type moves to Light-Type moves, as well as giving a 50% boost to all Light-Type moves used, so they might as well be Light-Types. Flash, Tail Glow, Sunny Day, Morning Sun, Swift, Light Screen, Mirror Coat, Spotlight, Prismatic Laser, Photon Geyser, and Light that Burns the Sky. Weather Ball now becomes a Light-Type move when used during Harsh Sunlight. Signal Beam (Bug/Light), Dazzling Gleam (Fairy/Light), Aurora Beam (Ice/Light), Power Gem (Rock/Light), Flash Cannon (Steel/Light), and Aurora Veil (Ice/Light). In addition, Solar Beam, when used by a Light-Type Pokémon, becomes a Light-Type move, otherwise it’s still Grass-Type. go send this link to Nintendo. Thanks for the support. I wish I could give these all to Nintendo or Gamefreak. And Satoshi Taijiri wanna be too like it. I have a good feeling about this Type. and Arceus his Sun Plate. Amazing type! Nintendo should know about this! Can I also use Light-type in my precently unready pokémon game-like concept? I have even customed an eeveelution for it. Or nothing… I just saw you also had Light-type eeveelution. Feel free to use it as you wish. 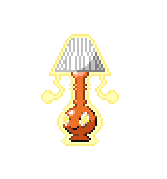 I’m not the first to make a Light-Type, and I’m certain I won’t be the last. This is a pretty good concept! Mind if I use this in my own fanfic? I’m reading your right now and I’m impressed thus far. Thanks for the comment. I’m not the first person to come up with the concept of a Light-Type, and I’m far from the last, so feel free to use the type. I think I might use this in my game ideas. Funnily enough, Chansey becomes Fairy/Light. That would be quite overpowered as it would oblitarate any dragon types or fairy. I’ve got a great light move! Lowers DEF (defense) harshly and ACCURACY dramatically. I think it should be learnt at LVL. 45 because of the lower dramatically, which is worse than harshly. Lowers DEF harshly and ACCURACY normally. I like the concept, but a move that lowers one stat by two stages and another by three would be extremely powerful compared to any existing stat-effecting moves. This move would completely cripple the opponent’s Pokemon with a single attack. I don’t normally worry too much about balance, but I still try to remain at least realistic. Got it! I actually HATE moves that don’t do damage (excluding the odd mean look) and as such I’m not great at making moves like that. I understand the thought. I don’t typically use non-damaging moves either. Still though, a balance does exist, and it should be found, regardless of personal opinions. And I’m pretty sure there is no such thing as a move that decreases dramatically. There are some moves that increase the user’s stats by three levels, but none that decrease the opponent’s, at least that I know of. O.K this time serious, NEW MOVE!!! The Pokemon channels its inner sunshine and blasts it out in a ray of sunshine, this may leave the Opponent Pokemon with a burn. Does recoil damage. Learned at LVL. 52 (kinda like that move my Incenaroar knows that is PREG (pretty good) but has VAR (very annoying recoil). That’s a much more solid concept. While I like it, I probably won’t be using it for a couple of reasons. I already have several Sun-based moves, including Solar Force, Solar Flare, and Helical Charge, and I already have a Light-Type move that burns the opponent with Laser Vision. While there’s nothing wrong with having another, I’d rather not be too redundant. I do like the idea though. Yeah, no easter egg. The thing I used to make it Light is an extra (YELLOW) ponytail,curl. In the Pokedex, it says it allows it to shine light that brightens up people’s day. Oh, are we talking about an alternate version of Chansey like an Alolan Form? That makes more sense. I assumed you just wanted to change regular Chansey into a Light/Fairy-Type. Do you think changing Chansey to Light/Fairy would be good? I’m not entirely sure if (anyone) should use it. Do you mean good from a design standpoint or from a battle standpoint? From a design standpoint, while I do think it probably should have been turned into a Fairy-Type like the other pink puffball Pokemon, I assume that Game Freak must have had a reason to not do it. As for the Light-Type, it would be a bit random, at least using my definition of the type, as there is nothing about Chansey that is associated with light, and it emits light in no way. From a battle standpoint, it certainly wouldn’t be bad. It would be better than Chansey is now, because it would gain STAB on Light and Fairy-Type moves, which are more useful than Normal-Type moves. On the downside, it would gain a weakness against Grass and Poison as well as a 4x times weakness to Steel, as opposed to its single weakness against Fighting-Types it has now. Since Chansey (or rather Blissey) is primarily used for stalling purposes, having those extra weakness wouldn’t be that good for it. I’m sure it would still be used, but I’m not sure it would be better than it is now. I’m really not the person to tell you this though, because I just use the Pokemon I like, and don’t worry too much about their battle capability. Got it! I understand your point of view, and may only make it Fairy. However, they did the unpredictable with raichu in Sun and Moon(psychic/electric), and it could be a good idea. The four times weakness would be annoying, so how about just fairy, and it becomes light by giving it a Easter Egg (lol)? It would destroy its own kind with the Light! Actually, I won’t do the E. Egg (still funny , hahahahah), because the STAB would be cool. 4x though, ouch. Instead it learns a move called Easter Egg that chooses a random light or grass type. Pokemon Go tip: Chansey is slightly more common near pharmacys and hospitals. First off, I’d like to point out that a 4x weakness certainly isn’t the end of the world for a Pokemon. Many of the strongest Pokemon, such as Dragonite or Hydreigon have 4x weaknesses to something, but that doesn’t make them bad Pokemon. It’s just something to consider. Electric/Psychic Alolan Raichu may be unexpected, but it’s not unjustified. It Alolan Form gains psychic powers thanks to the pancakes it (for some reason…), making it a Psychic-Type. It still fits under the definition of what a Psychic-Type is though. Of course, you’re free to do what you want with your game concepts, but unless you create your own definition of what the Light-Type is, Chansey being a Light-Type doesn’t make the most sense. Of course you’re free to do what you want, that’s just my perspective on the matter. Also, here’s a tip on your Easter Egg move. It’s an interesting concept, but it’s worth noting that it unrealistic due to its name. Easter is a Christian holiday, and it is unlikely that Game Freak would ever make such a direct reference to a religious holiday, as they typically try to leave real-world religion out of their games all together. Once again, your call, but if your going for realism, you might want to try something else. BTW i’m christian so I completely understand. I’m kinda thinking of an item called Miniture Nuke, that powers up Nucleation. Do you mean Nucleaction? And by Miniature Nuke, are we talking like a nuclear bomb? That might be a little outside of what could be considered a realistic Pokemon item. That being said, some sort of radioactive item that powers up Nucleaction and Nucleactor wouldn’t be a bad idea. Thanks for the suggestion. It’s hard thinking of items for that. Something that seems more in the Pokemon Boundaries is Nuclear Sludge. That would be much more acceptable, but I already have an item called Radioactive Sludge that is used to evolve Weezing into Haking. Something along the lines of Radioactive Core would probably be best. When will Eevee evolves into light type of the new Pokemon right here in the Tenno region? In Cosmic Quest, a Pokédex description of Eevee claimed that Eevee had nine evolutions. That all I can say for now. I wonder if there’s a light type gym leader right here in the Tenno region so this is going to be a good one. How many light type Pokemon if there is going to be a new gym leader would be have the female right here in the Tenno region? If I understand correctly, you are asking me how many Light-Type Pokémon there are, and also if there will be a Light-Type gym leader who is female, am I right? I cannot answer how many Light-Type Pokémon there are, as I have no official count, and am still making new ones. And you’ll just have to wait and see if there’s a Light-Type gym, and who the gym leader is. Okay then. I’ll have to wait to see who is the name of the female gym leader light type Pokemon. It’s just a incorrect streotype that they don’t like the light! Thought I’d correct you on that as living in a haunted house I have had time to observe them more then most people so I’d thought I’d enLIGHTen you about ghosts! Regardless of your…unorthodox living situation, myths and lore surrounding ghosts nearly always have them only come out at night and/or prefer the night. And regardless of that, type effectiveness in Pokémon is often based on incorrect or not completely true perceptions, such as water conducting electricity, which isn’t strictly true, as the water its self is an insulator, and the dissolved minerals, such as salt, are the conductors. Thanks for the suggestions. I am fairly happy with the way I have things balanced right now with the Light-Type, so I don’t plan on changing it’s type match-ups. And honestly, the water one really wouldn’t work that well. For light to vaporize water over a short period, that’s going to take some serious amount of very intense light. It’s not a “natural match-up,” so to speak, it’s a little forced. Not to mention, if light could evaporate water, then you’d have to ask yourself why fire can’t. In addition, if light could vaporize water, then it would also be able to melt ice, so I’d have to make it super effective against Ice-Types too, in order to keep logical consistencies. I like the Dragon-Type idea, but on this case, attacking with Light is more than just heat. Maybe dragons could resist the heat element, but the light itself is what’s mainly causing the damage. The heat would only be a secondary effect (except with specific instances, like the move Laser Vision). Flash Cannon is listed at the bottom of the page as one of the moves that is now a combo-type with Light, so Flash Cannon is a Steel/Light move. I personally think we should think of a way of making light not super effective against ghost types (I think they would become too weak). I also think that it should be super effective against electric, that way that type would have more than one weakness and ground types would become less op (they are the only ones strong against electric and have the most quantity of offensive advantages). I would not make it weak against steel, just not very effective offensively (steel may have to many defenses though). I would also bring up the fact that many bugs are attracted to light (maybe they should be resistant?). I think it should be super effective against dark and electric (ghost makes sense too, just don’t want that for balance) and weak against dark, grass (perfect for balance, because grass has 5 weaknesses and only 3 advantages). I didn’t make the Light-Type to attempt to balance anything. Balance is important, but I’m not interested in making something super-effective or not very effective against something else just for the sake of balance. To this day, I am annoyed by the Dragon-Type being weak to Fairy-Types with no obvious reason other than to balance the Dragon-Type. I try balance things the best I can, but only within the confines of logic. For the Ghost-Type, it’s just too obvious of a weakness to ignore. I see what you’re saying about it making Ghosts a little too frail, but not making Light super-effective against Ghost would be like not making Fire super-effective against Ice. It would be sloppy. While maybe Electric could use one more weakness, why would Light be super-effective against it? Nothing about light intrinsically weakens electricity. If there’s no logic-based reason, then I don’t want to do it. Steel was admittedly one of the more forced of my match ups with Light, but I needed something else to be super-effective against it. What’s your reasoning for that one anyways? The Bug one could work, though.